If you are a mom, you’ve probably been down this road. Your child, who used to eat every thing you put in front of him or her suddenly wants NOTHING to do with food. They become super picky and only want to eat foods that are a certain color. At our house, it’s not just that Hudson is a picky eater (he’s three, so yes, he’s kind of picky) but it’s also that he just is not interested in eating. He would rather play or run around like a crazy man than stop and eat. I’ve tried everything…taking him shopping and letting him pick out the foods we will make. Having him help me cook. Putting food on a stick. Cutting his food in to fun shapes. But nothing has really worked as a long term solution. He might eat something one day and the next day tell me it’s yucky and won’t touch it. Or he’ll eat three bites and be done. 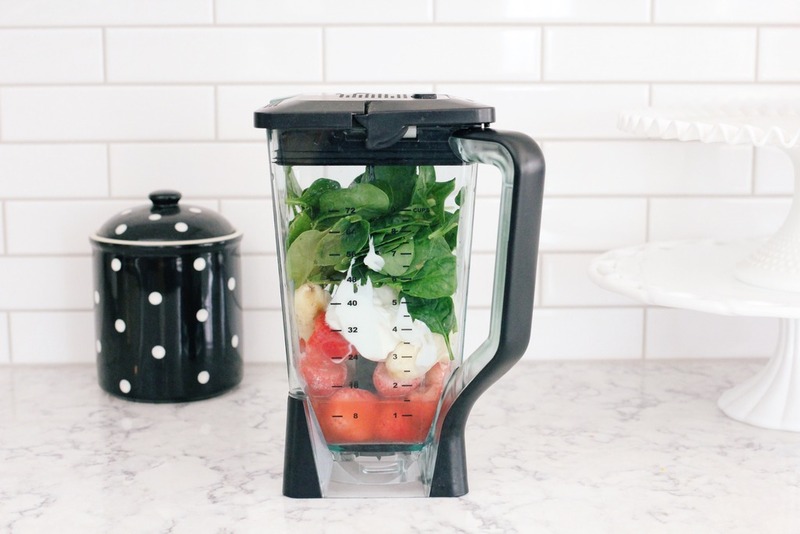 This usually makes about 2-3 smoothies, depending on how much I dump in there. My husband and I drink them most mornings too! I found these cute plastic cups on etsy for Hudson and he loves them. Sometimes I get really sneaky and add in a cube of frozen left over purred sweet potato, carrots, or green beans that Sadie won’t eat any more to really pack in the nutrition! Shhh…don’t tell my husband! Another way that I make sure Hudson is getting the nutrition he needs is to give him our most favorite vitamins from OLLY. 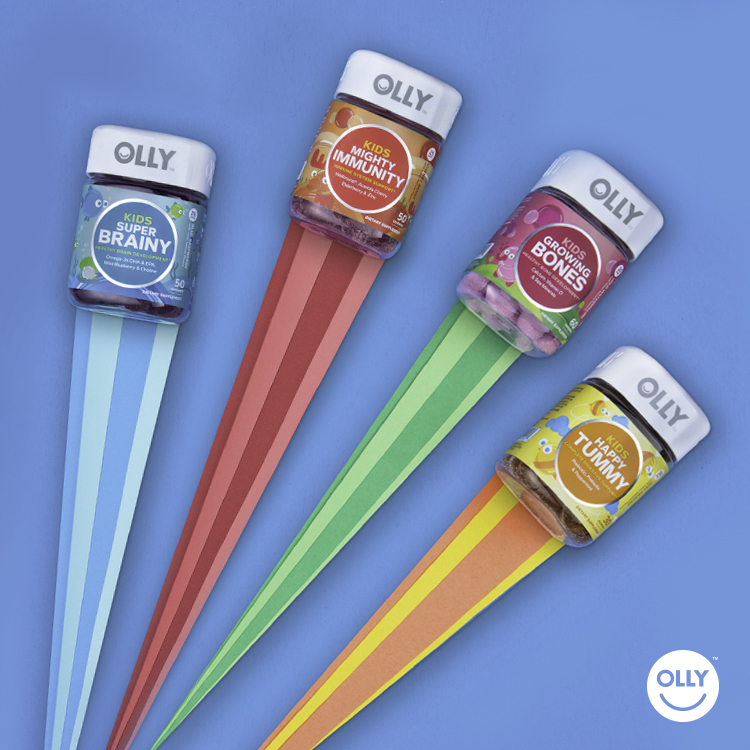 Every OLLY blend is formulated to be super effective by pairing nutrients in powerful combinations that are designed to meet a specific health benefit. 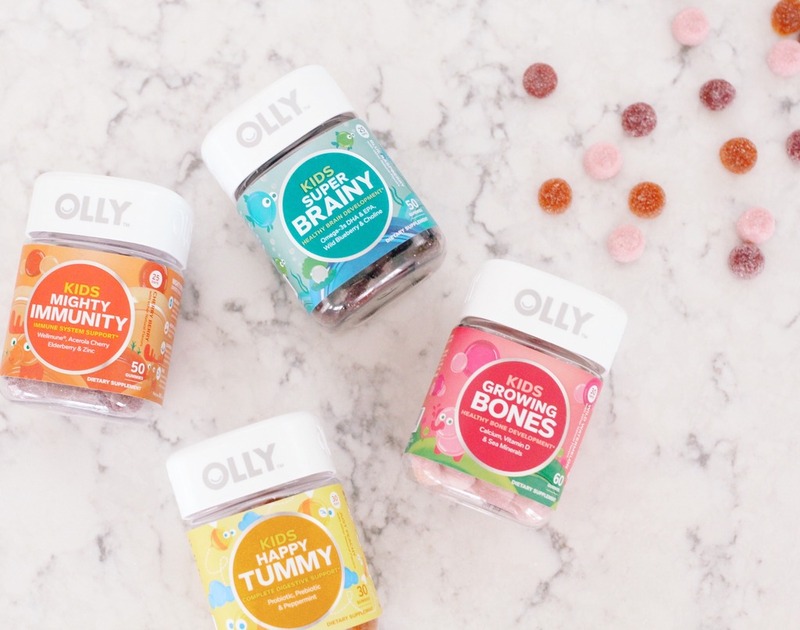 We currently have the Mighty Immunity, Super Brainy, Happy Tummy, and Growing Bones gummy vitamins from the OLLY Kids line and Hudson loves them! And I love that they are natural and healthy for my growing boy. I let Hudson pick two each day and he absolutely LOVES having a choice…and surprisingly he switches his selections up each day! I think it makes him feel like a big boy to pick out his vitamins himself. You can enter the giveaway here. 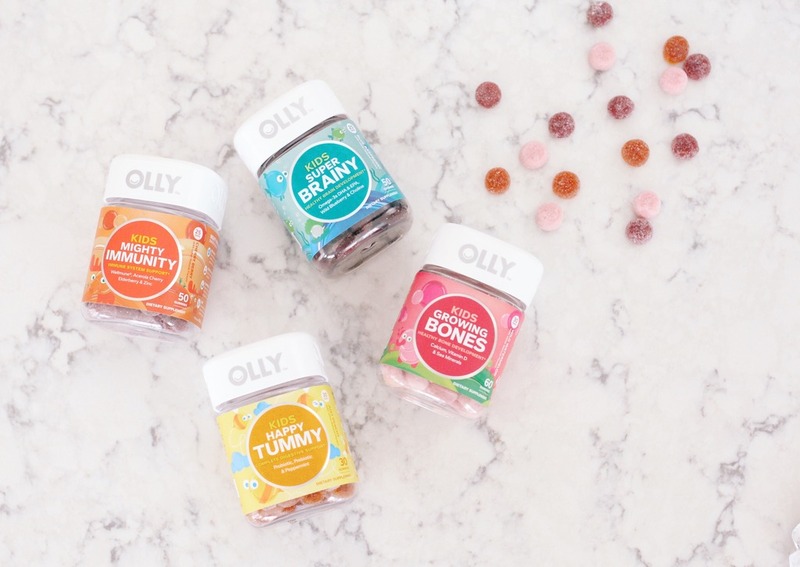 I’ve partnered with OLLY today but my love for their kids gummy vitamins is all my own. Thank you for supporting brands that help make this blog possible. I could have written this post. 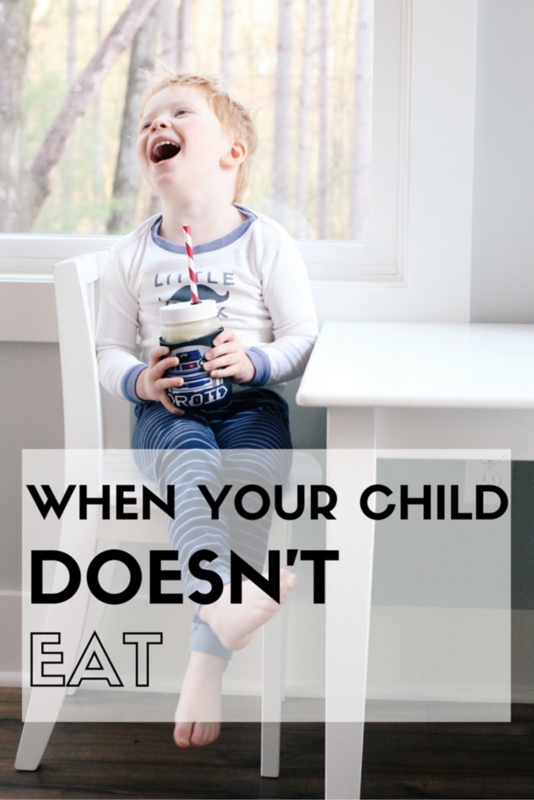 My son won't eat anything. Pancakes, waffles and block cheese are about it. It's so so so frustrating. He won't even try anything. I'm going to try this smoothie and see if by some magical way he will drink it! Also totally picking up these vitamins stat! Happy Thursday! 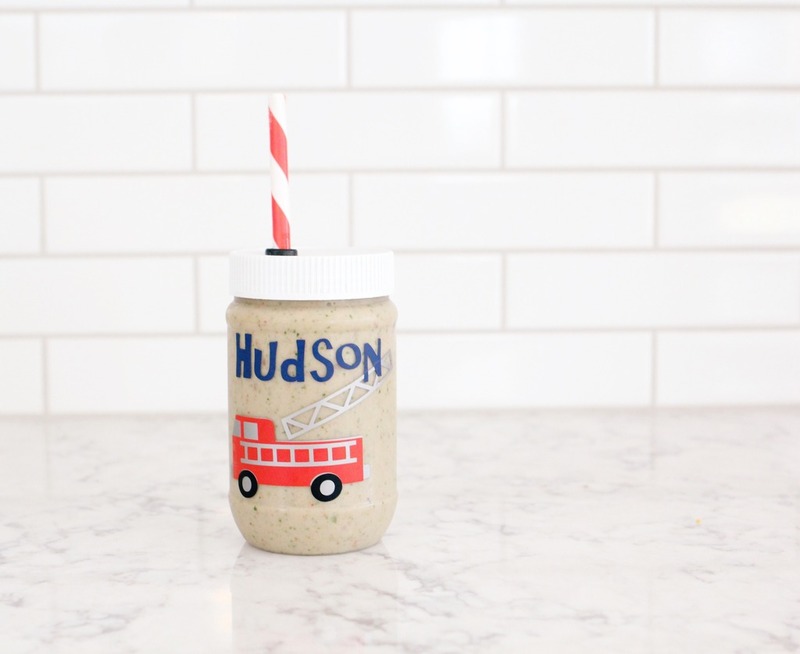 I have been waiting for the smoothie recipe to try with E.
I have always loved that you give Hudson smoothies!! Jack isn't picky yet, really the opposite but I know our time is coming. I will be pinning this for future reference & may start making them soon for Jack! Thanks for sharing!! When I make Hudson's smoothie, I put more spinach in so it is REALLY green!! I love this and can totally relate! There are days where Noah won't eat much at all, then randomly he will have a day where he eats all his meals and is constantly requesting more healthy foods! 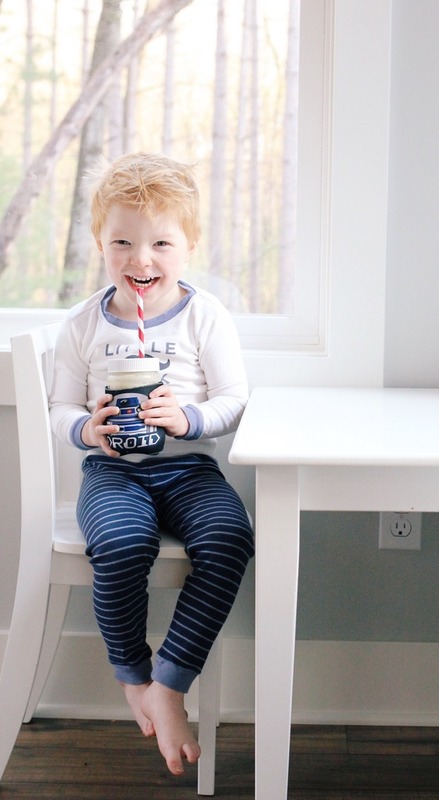 We do a similar smoothie each morning and I love that I know he's at least getting something healthy each day! Right now Noah loveds his Flinstones vitamins but I really love the look of these!!! I really need to get back into making smoothies! Wyatt is pretty much the same way. Occasionally he'll go for some strawberries but otherwise it's chicken, noodles, & cheese. This was so Mason at this age! We literally had to make him stop to eat. And even then it wasn’t much. And he’s picky…his food groups were chicken nuggets, macaroni and cheese, milk, and yogurt. That’s all he would ever eat. But, as he has gotten older he is more interested in food and eating and is even trying new things. So, there is hope, Mama! I’m going to have to try smoothies with Mason. He’s weird on texture, but it’s worth trying. 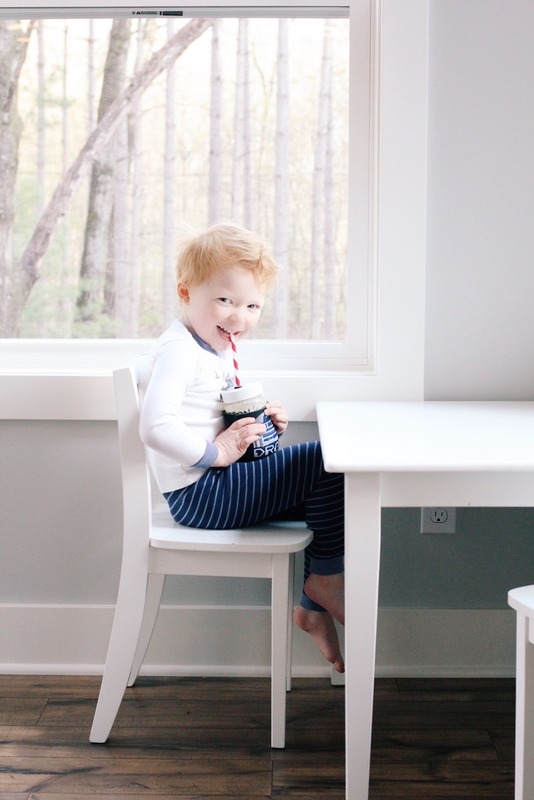 Love these pictures of Hudson and his little cup is precious. Have a great weekend and Happy Mother’s Day!!! Could you post the link to the Etsy cup? Thank you! It's from an Etsy shop called Remembered Once More!